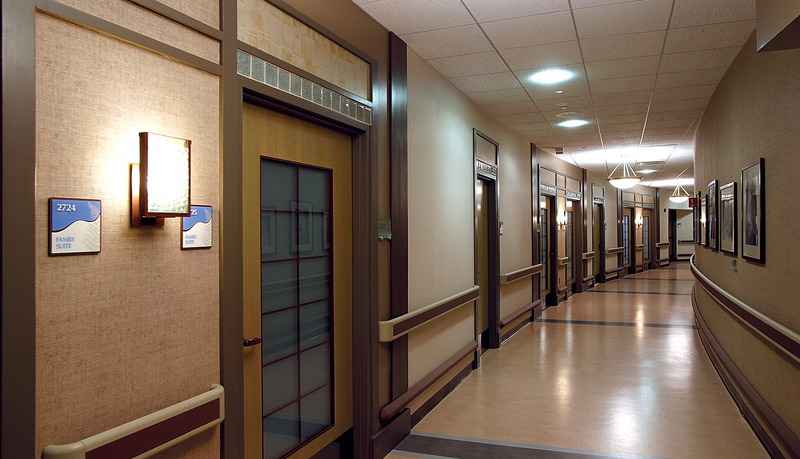 The Women’s Pavilion of Riverview Hospital is a pioneering example of a healing environment. 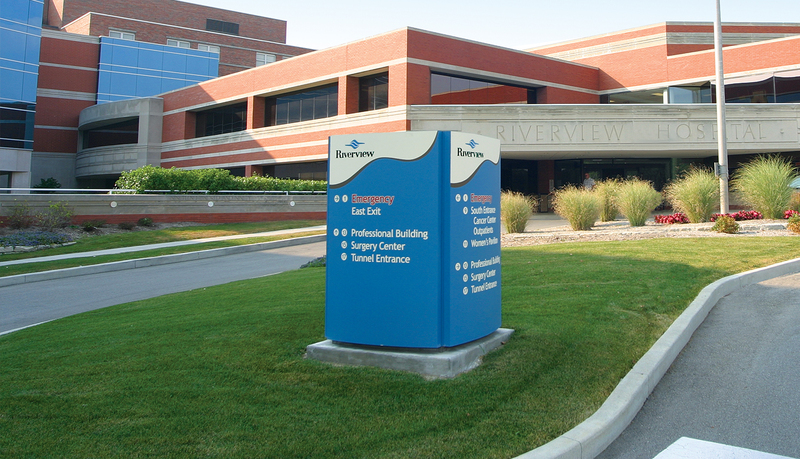 Riverview Hospital, set on the banks of the White River, greets visitors with a pebble-stone waterfall at the main entrance of the hospital. 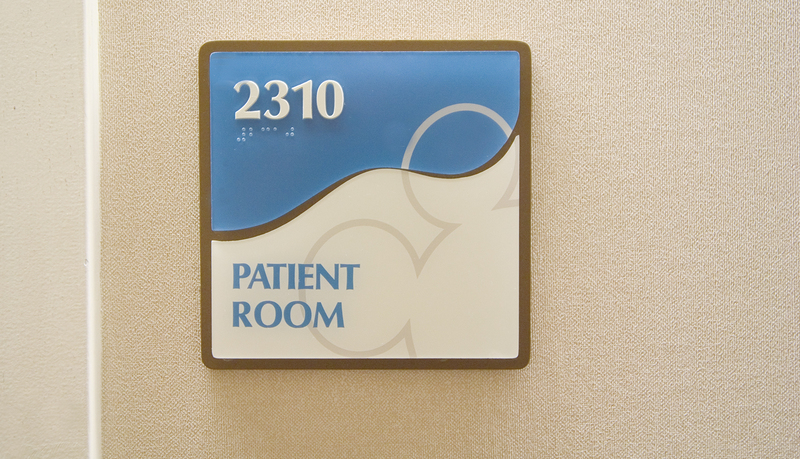 Soothing, tranquil music can be heard throughout the facility. 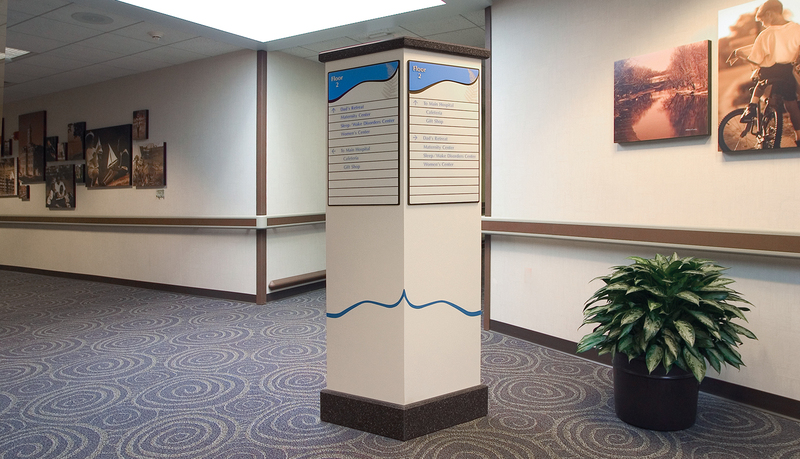 The hospital wanted a solution to seamlessly integrate with the calming design of the surroundings. 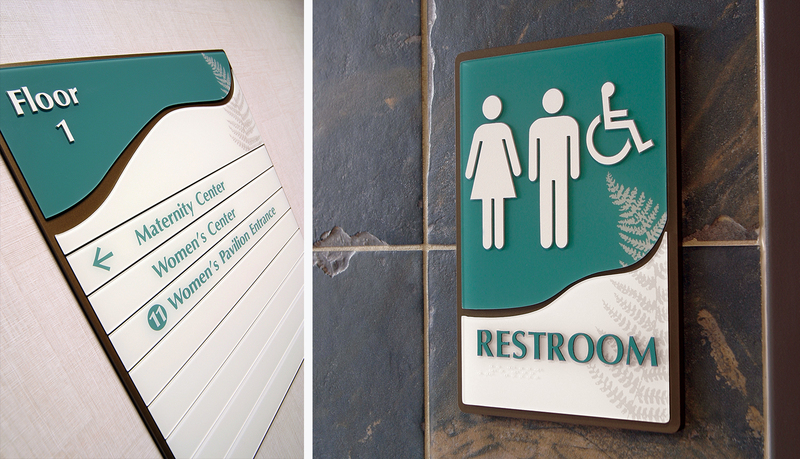 The soothing earth tones and complementing river-themed graphic elements contribute to an integrated solution reflecting a positive and soothing atmosphere expected in today’s healthcare environments. 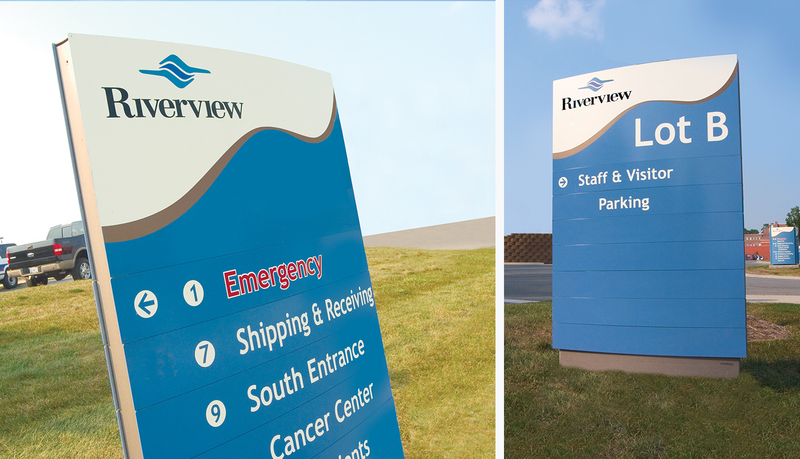 Partnering with the architect and facility manager, ASI created a custom interior signage solution with a “flowing river” design routed into the face of each sign. 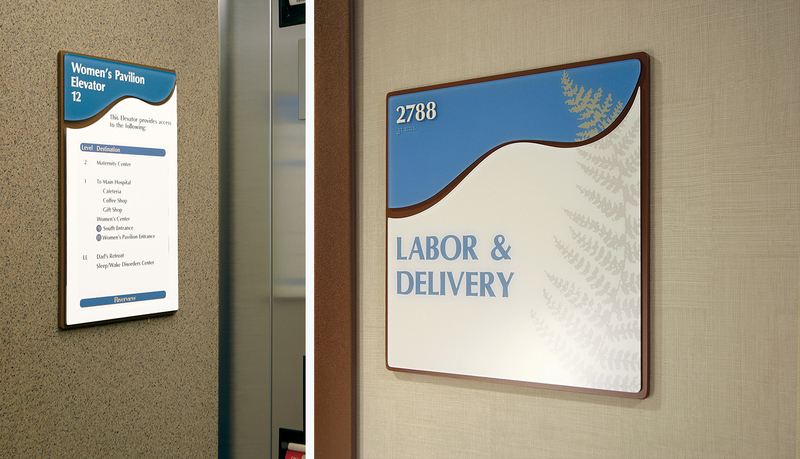 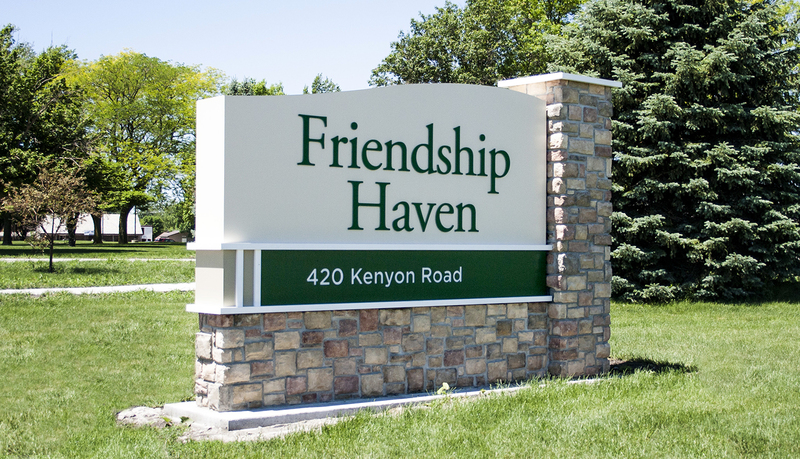 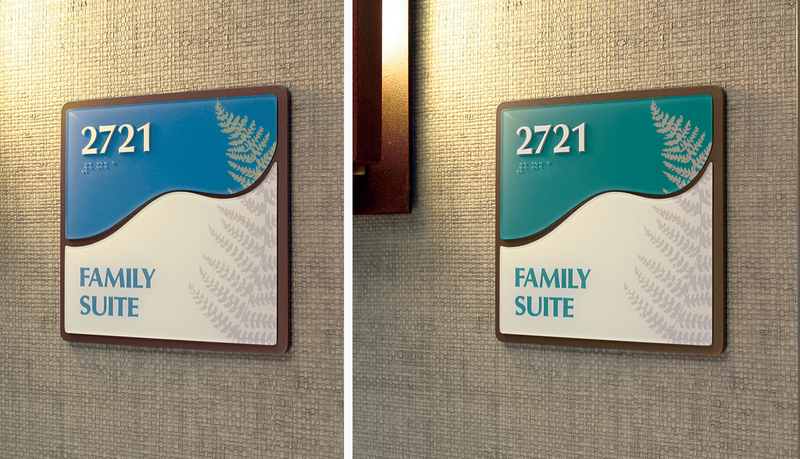 Soothing blues and soft greens are integrated into each sign based on its location, and graphic appliqués are subtly blended into each sign. 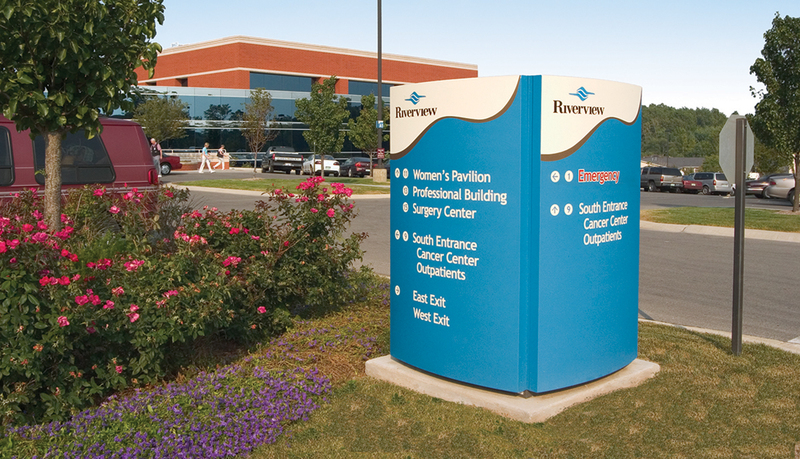 The river theme continues through the exterior signage solution, where the curved-faced features of Pacific Exterior and the blue coloring reinforce the flowing waters of the nearby White River. 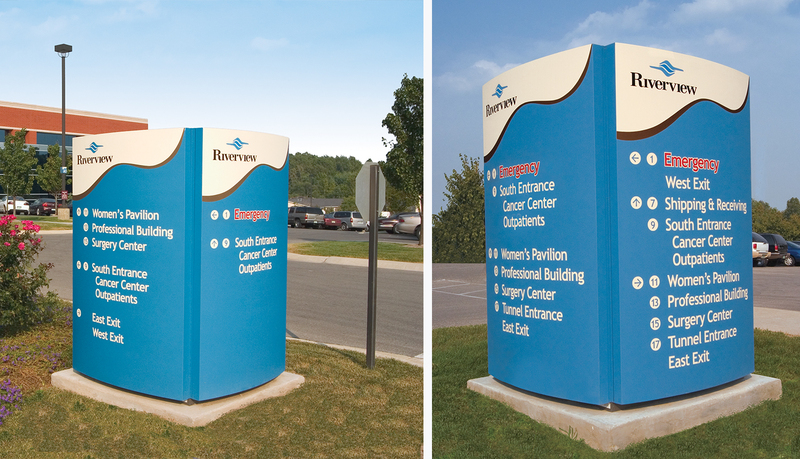 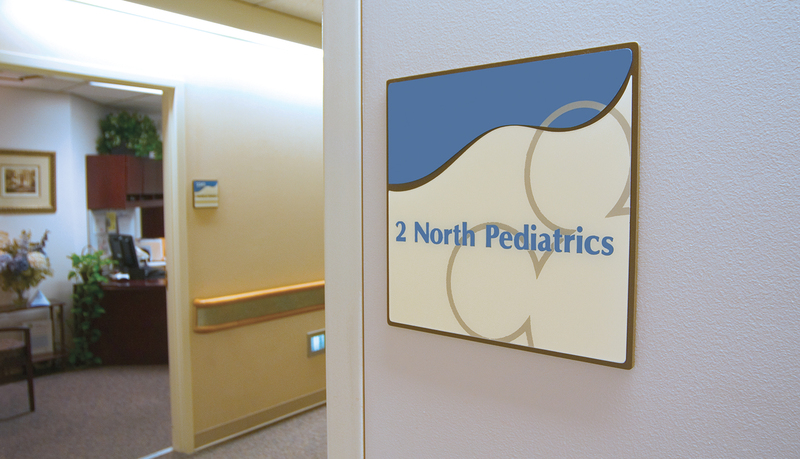 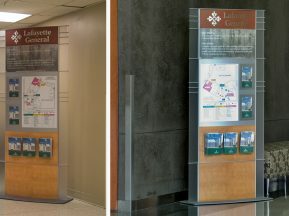 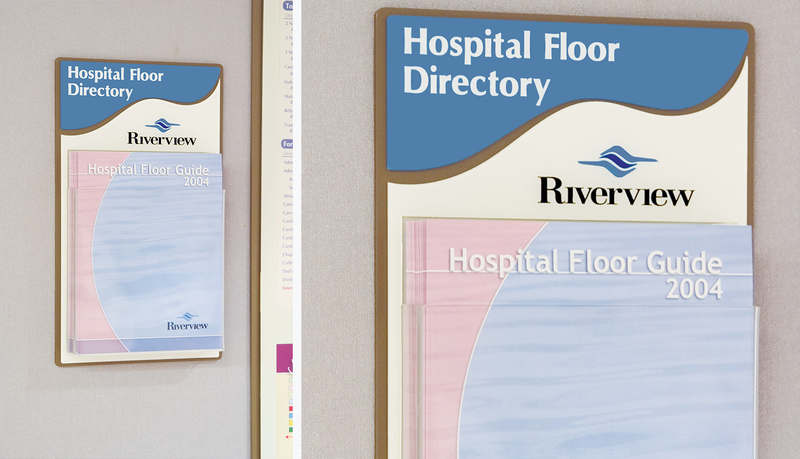 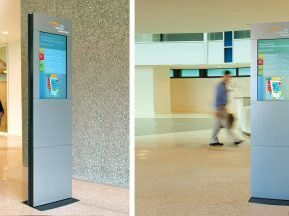 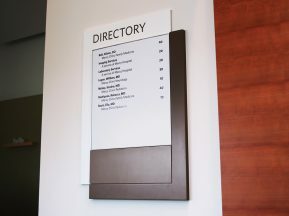 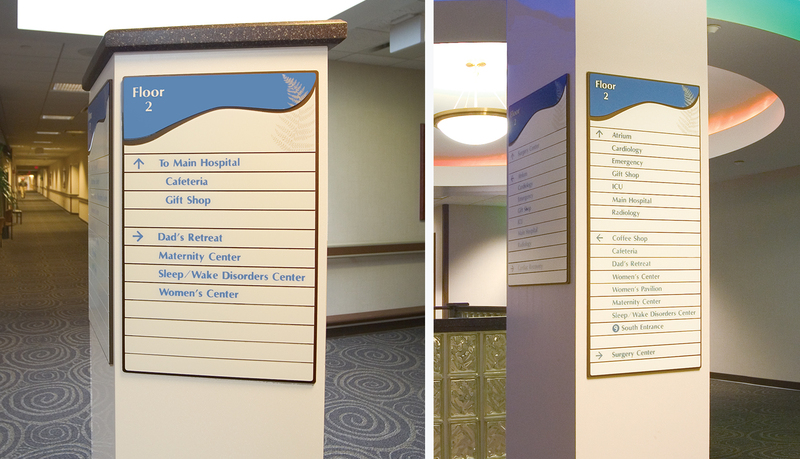 The resulting signage solutions provide the soothing appeal the hospital was seeking and effectively guides visitors and staff throughout the facility.